Jury selection at the U.S. trial for Mexican drug lord Joaquin "El Chapo" Guzman was completed Wednesday with Guzman waiting for word on whether he can hug his wife for the first time in nearly two years. 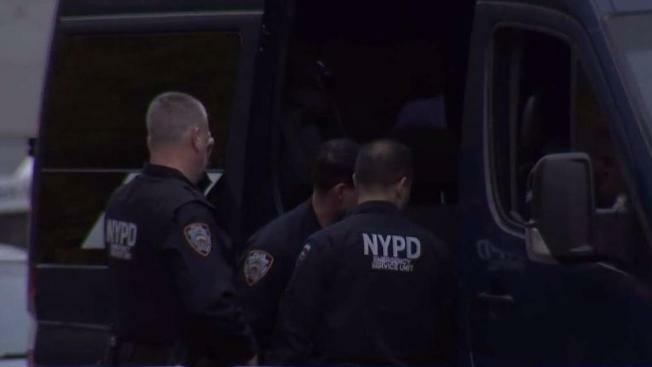 There is unprecedented security in Brooklyn Monday morning for the trial of one of the biggest drug kingpins in the world -- Joaquin "El Chapo" Guzman. Katherine Creag reports. Allowing "an embrace with the railing between them would not pose a threat to security," the letter read. The judge didn't immediately rule on the request. Most of the people picked either for the jury or to serve as six alternates said in initial screening that they had heard of Guzman through news reports or TV shows. They include a man and a woman who said they are fluent in Spanish and a man who's a retired corrections officer. The judge put off swearing in the jurors until next week out of concern some still might try to duck duty for a trial expected to last into next year. He told lawyers that one of the jurors, after learning she was picked, wept while privately telling him she was afraid of the unwanted attention she would get if it was found out she was on the panel.